​​built to thrive anywhere anytime. 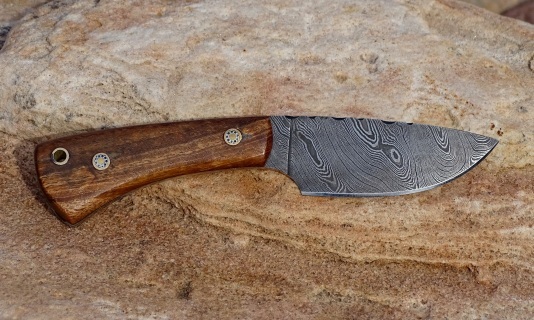 we are in the shop and finishing up a large batch of knives this month. 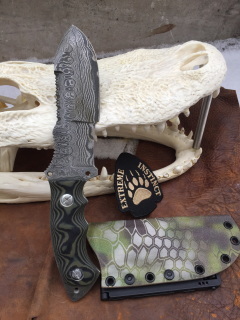 more knives will be posted on the site shortly. ​If time is a concern please send us a message first to find out the estimated completion time. 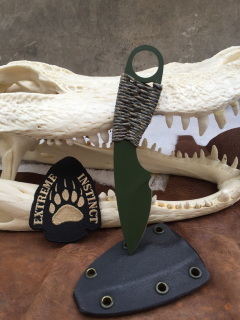 As owner and knife maker at Extreme Instinct I went right to the shop the second Discovery Channel's Naked and Afraid called me to do the show. Knowing I would be dropped off anyplace in the world with only one item I knew I had to make the ultimate knife. 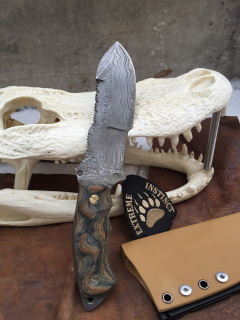 This one knife was fired in the forge of years of tested survival knowledge. 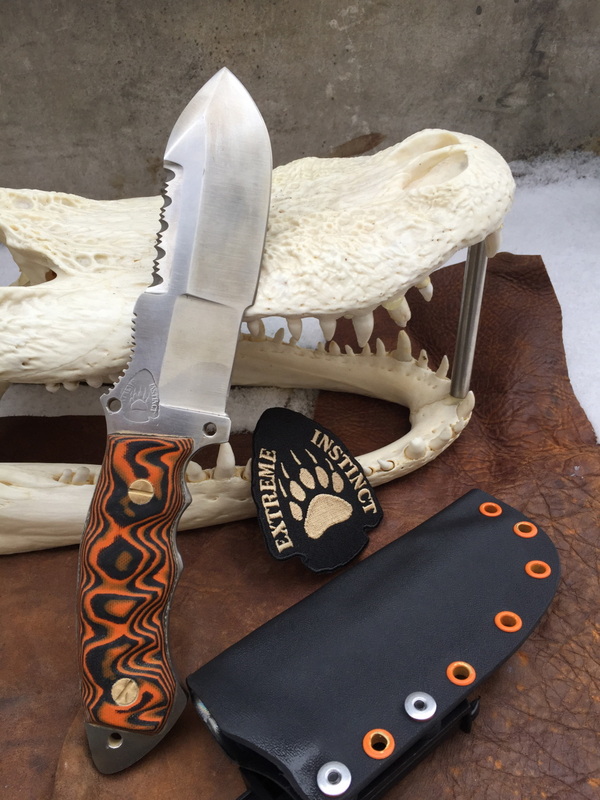 Features 1/4" thick 1095High Carbon steel coated with cerakote. With a saw back side for detail work, A sturdy brush hook for cutting vines and small brush. The eye hole is set up to mill out arrows, atlatl darts or trigger sticks. A spindle socket on one side for friction fire. 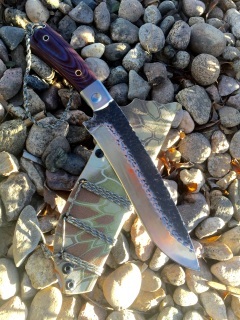 The handle scales come off to allow you to lash the knife to a spear or long stick to reach hard to get fruit. The back and bottom of the handle are designed to flint-knapp and break open nuts. Concave grind down the center to relive friction and make chopping more efficient, while the edge is convexed to stay sharp through even the toughest chores. 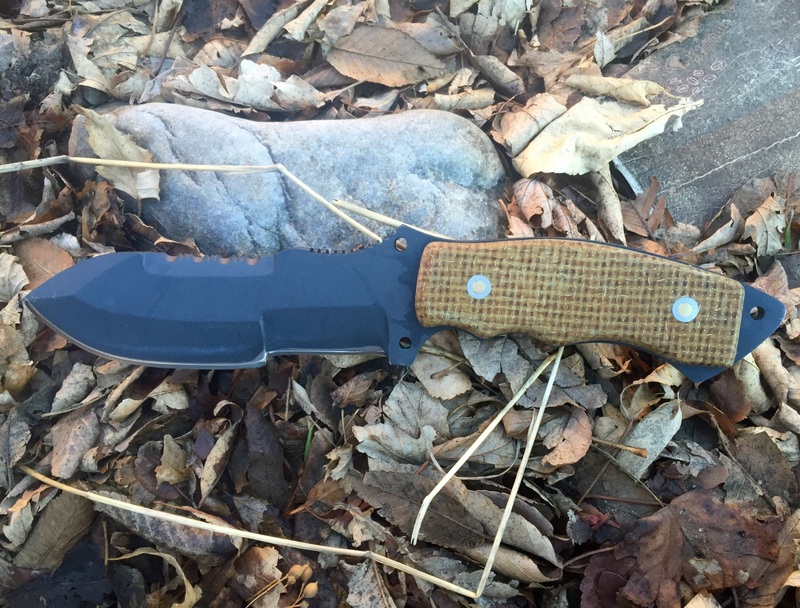 After 21 days of hard use I can attest this knife truly dominated the jungle. 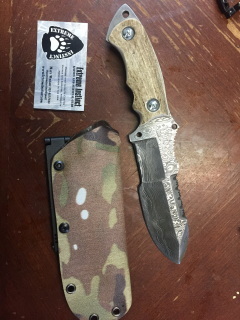 You can't have the exact knife I brought to the jungle but I will build you one just like it. Built with 1/4'' 1095HC steel. 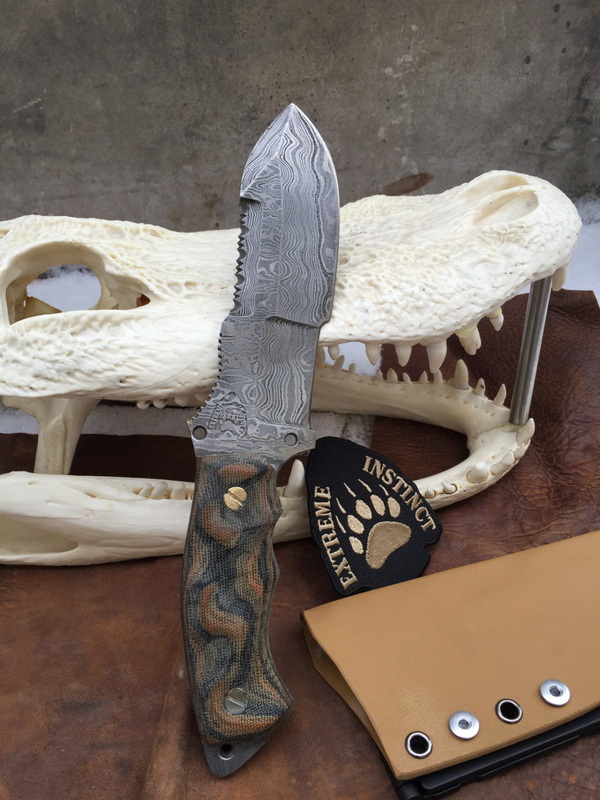 The first hammered finish Bushman XL featured in the picture was built for Darrin Reay who is one of the survivalist on Discovery Channel's hit show Naked and Afraid XL. 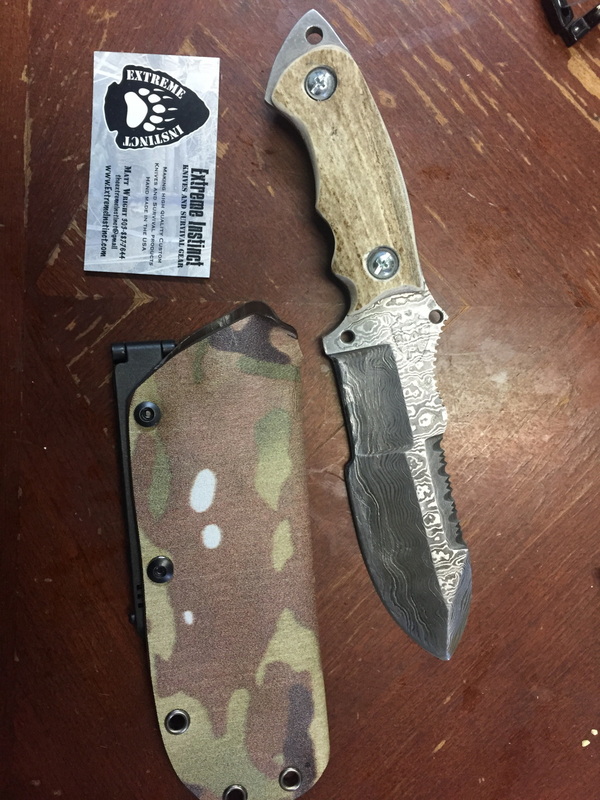 Darrin is tough and needed a knife to keep up with whatever Africa could throw his way. 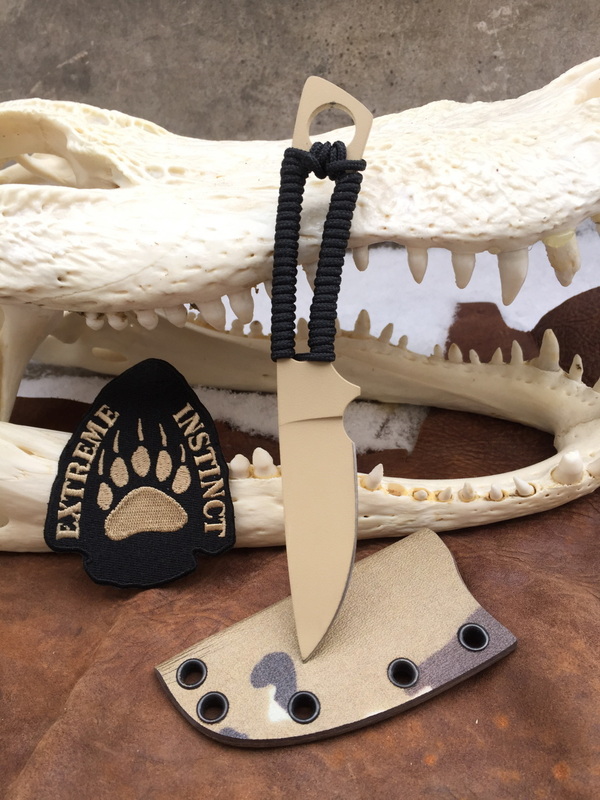 If he was to be thrown out to take on the most extreme environments on earth I would bet this knife would be at his side. Designed to be fast in the hand with extra heft to make short work of hardwood. The drop point blade is ideal for protection or auguring out a hole for a trap or fire board. 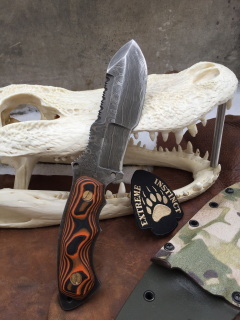 The micarta handle provides a strong grip and the nickel silver hilt has a built in spindal socket for friction fire. 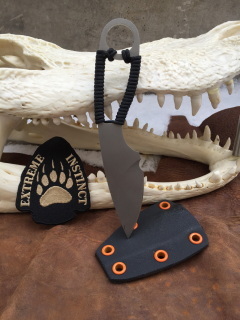 Kydex sheath has built in carbide sharpener and extra cordage. Get one like his or have us custom make one for you. This knife is 1/4'' of high grade 1095 High Carbon steel with hammered finish. You pick a custom handle and color of Kydex sheath.This sturdy sub machete was built for a Naked and Afraid survivor on the XL season 2. The original survivalist had to leave early but this knife stayed in the challenge until the end and was said to be used by every one at camp. 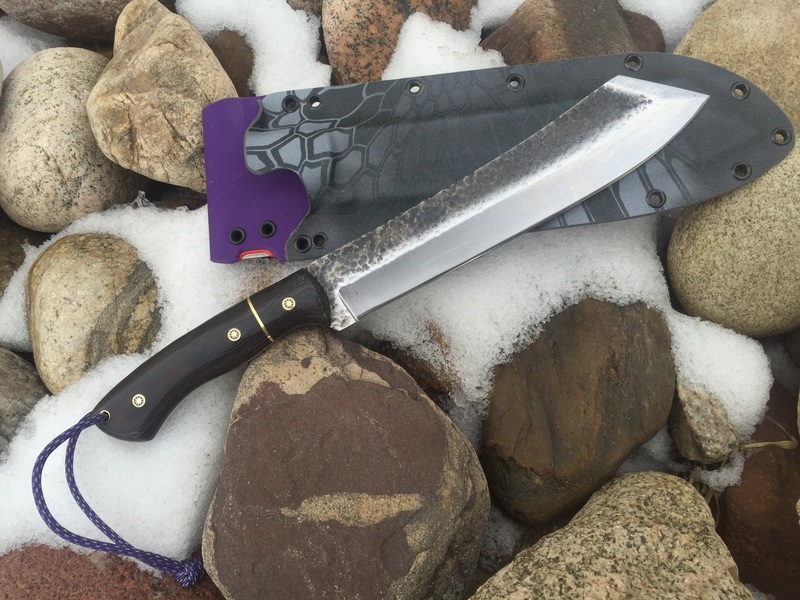 It has twice the power of a standard machete with enough heft to baton hardwood or persuade your next dinner meal. Built in carbide sharpener in sheath. or the tuff as nails CPM D2 steel. ​Each knife comes with your choice of either a custom made to order kydex sheath or a heavy duty leather sheath. 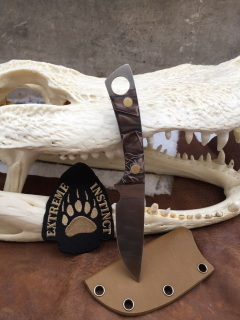 Solid CPM D2 steel that is rust resistant and will hold a good edge to get you through any situation. 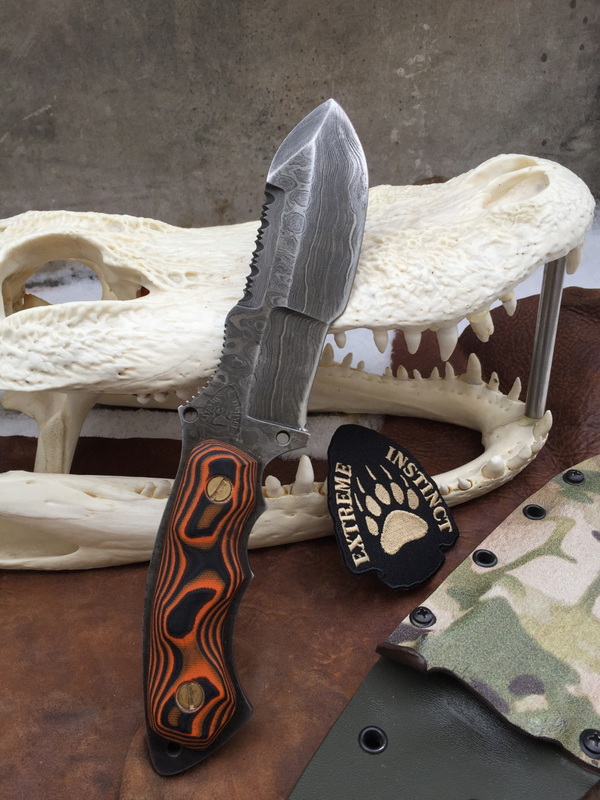 G10 Orange handle and Kydex sheath. This knife might just be bullet proof with its laminated kevlar handle and Cerakote coated CPM D2 steel. It is a knife ready for any combat situation. Custom design your kydex sheath and it's ready for whatever or wherever you need it. 20% off discount for active duty military. The Journalist knife always makes the story. That story becomes legend. That legend becomes a myth. A myth that becomes folklore told for eternity. The Journalist is never afraid to speak its mind and has no idea the definition of retreat. 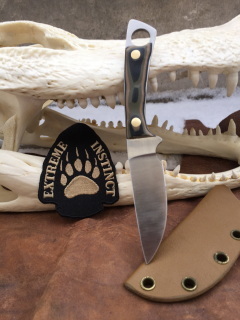 Its been said that this knife is so sharp it can infiltrate the truth or even cut the tension in an interview. The Journalist knife can simultaneously leave a statement and documents it. It’s inarguably the only item one needs whether interviewing a rock star or cutting your way into history the Journalist knife will get the story and make it epic. 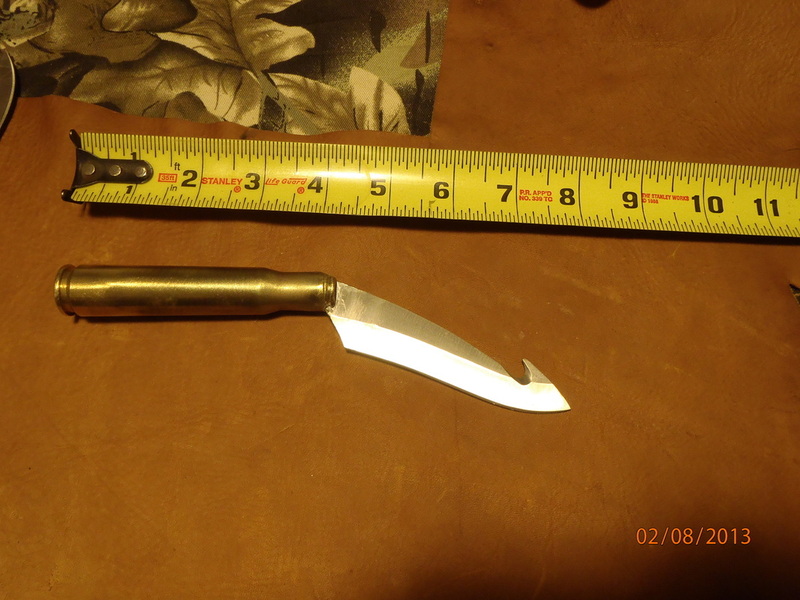 Features a multitool, duck tape, fire starter rod, survival compass and a retractible ball point pen. 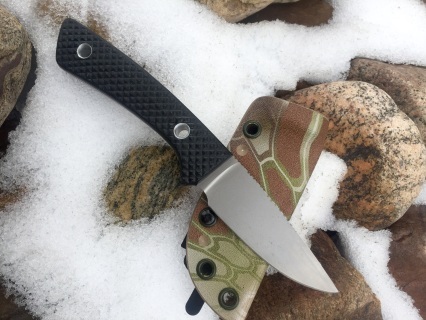 CPM D2 steel and G10 handle. Knives built for the wild. 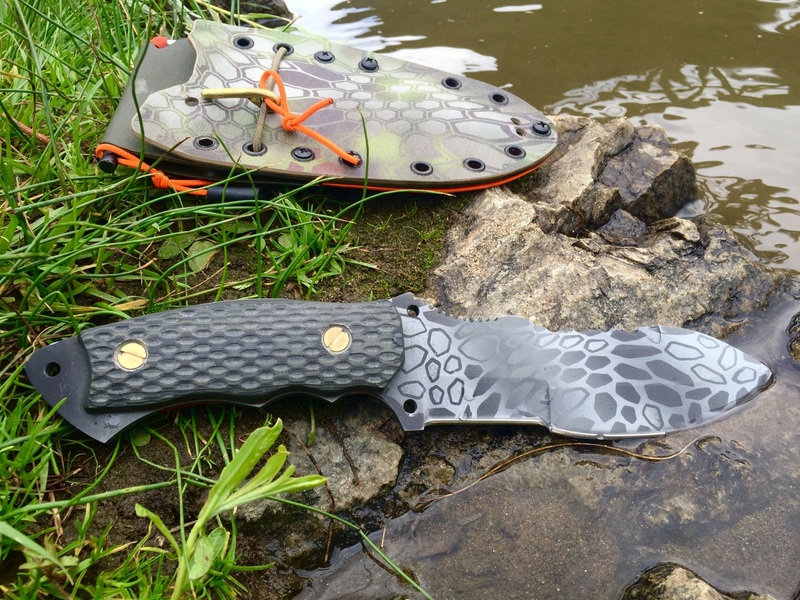 This knife is built lightweight and easy to carry. The 550 cord handle provides a good grip and even extra cordage in a pinch. 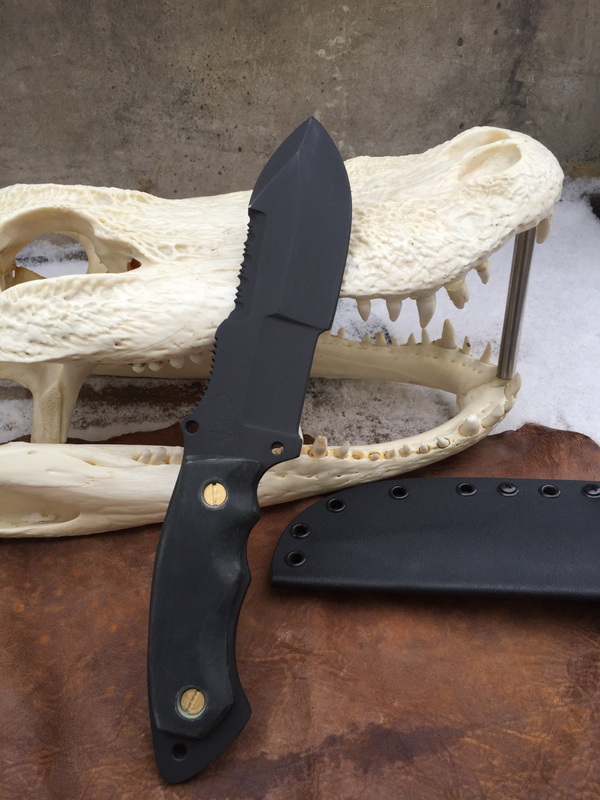 The blade is a high grade corrosion resistant CPM D2 steel Cyro treated. Bead blasted for a non glair finish. Includes kydex sheath so after purchase let us know in the comments if you want the neck knife sheath or belt carry sheath. 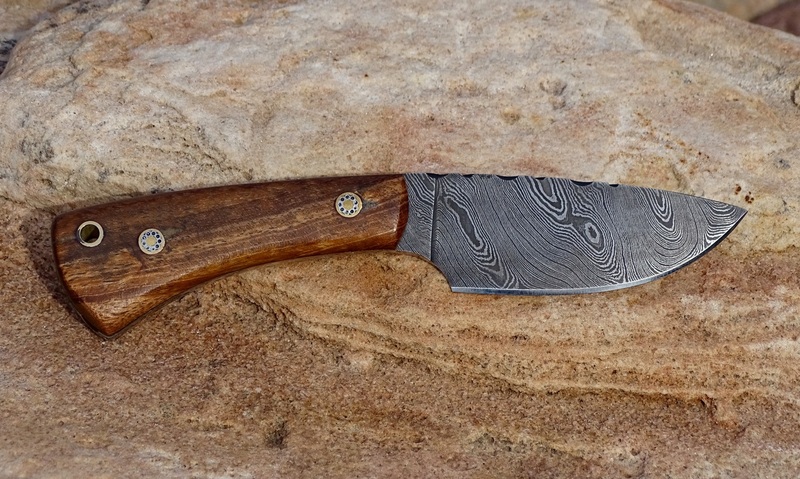 This is a knife that will always start a good conversation. 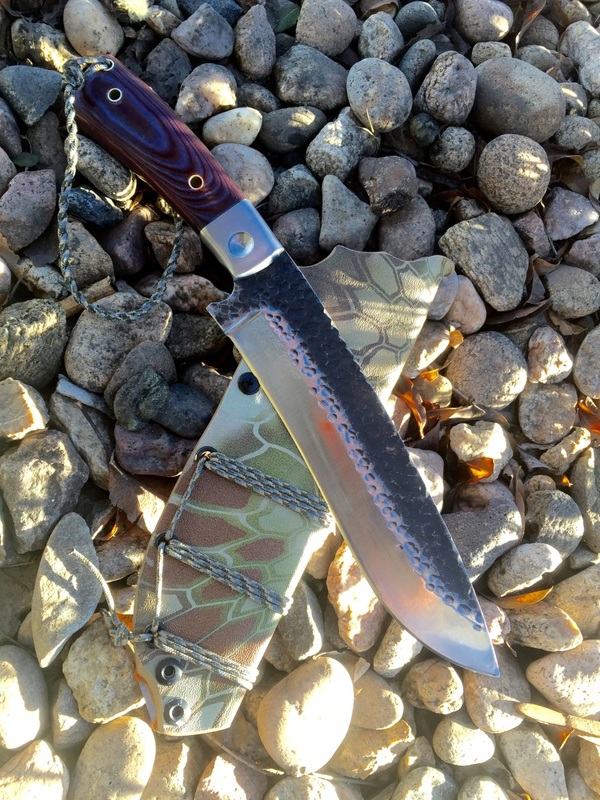 The steel is awesome CPM D2 steel and the handle is just what it looks like. 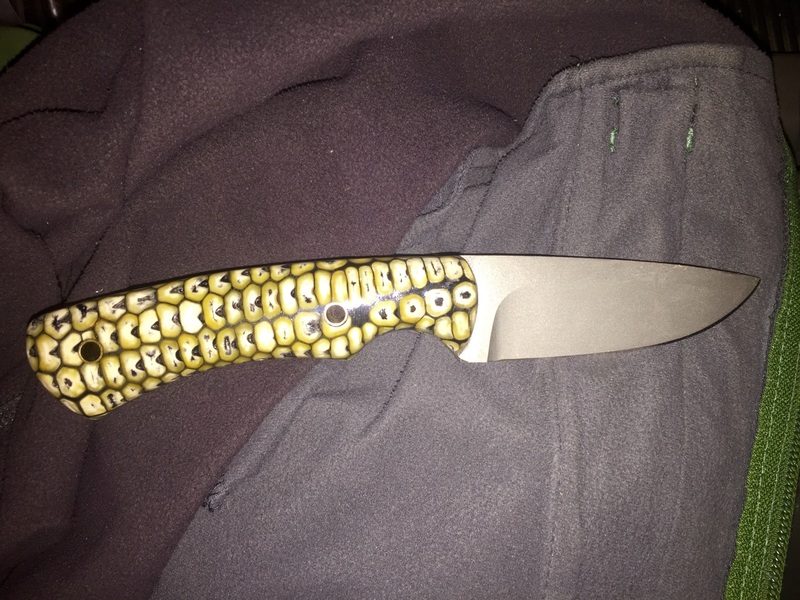 Stabilized corn cob handle provides a good grip. 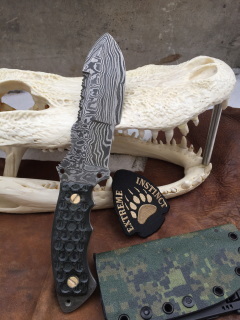 Custom made kydex sheath included. 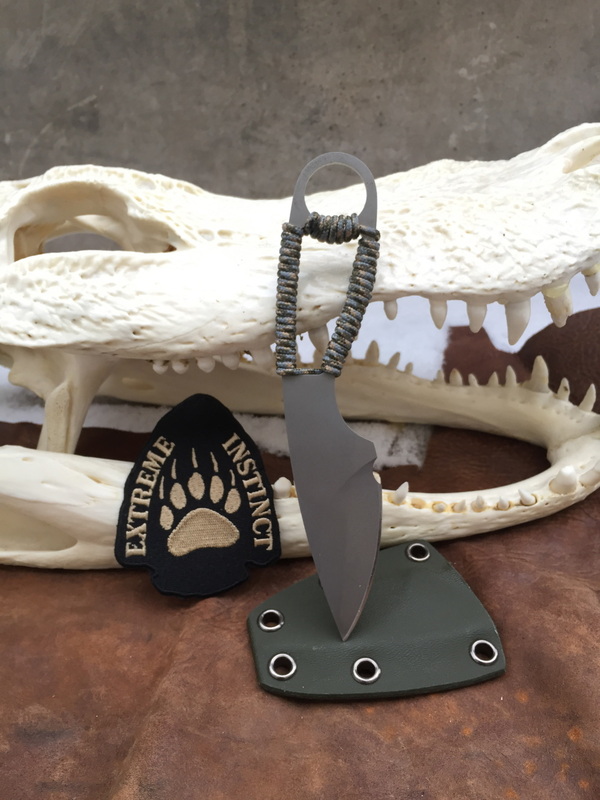 This handy knife is made with high grade 440C stainless steel and its handle is an actual spent 50bmg shell canted 33 degrees from the blade to reduce strain on the wrist and produce more power in your cut. The handle is also matched with the 500 S&W pistol cartridge. 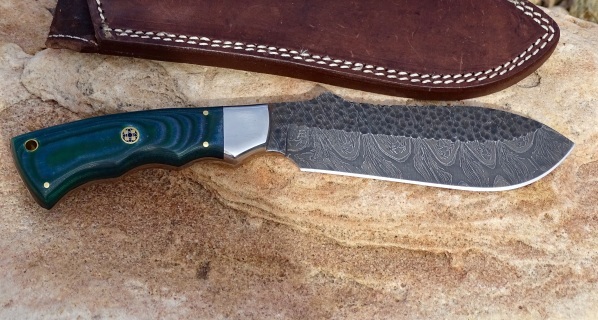 More Knives will be posted soon. The knife is the one tool that has guided mankind through survival and evolution. Evidence of knives has been found along with the earliest of man. The importance of this tool is unmatched due to its role mainly in propelling mankind into the future. It has been used for creating tools, hunting, protection, or winning that battle that changed history and is renowned as the most important tool in the battle for survival. Today times have changed. We are no longer cave men or Roman gladiators but the knife is still a daily necessity. Sure we don't need to make shelter or fend off wild beasts every day but there has been an innate bond to this -over 30,000 year old- companion. Currently being clipped in the pocket, on the belt, or used in combat strapped to your battle rattle, it is carried by nearly every American and its statement is evident. 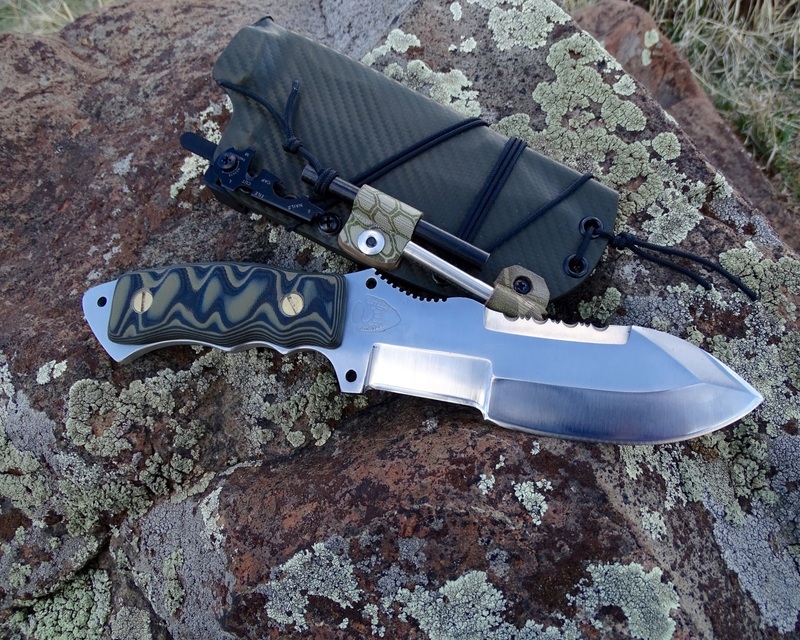 Carry a knife you will be proud of and, more importantly, carry one that works. Cryogenic Treatment, first discovered by NASA in the 1960’s, produces additional transformation in steels after heat-treating. The process uses computer-controlled time & temperature profiles to gradually bring the steel to cryogenic temperatures of-300°F. The cryogenic treatment is followed by double post tempering for additional material refinement. The entire process is an extension of heat-treating that modifies the micro-structure of the material . Cryo treating, like heat treating, transforms the micro-structure of a knife blade to increase edge holding capabilities and sustained life. All info on cryo can be found at info@nitrofreeze.com. ﻿﻿We are busy in the shop and the next line of knives are being honed up.